Dirt Devil Vacuum Cleaner Just $29.99! Down From $50! Shipped! 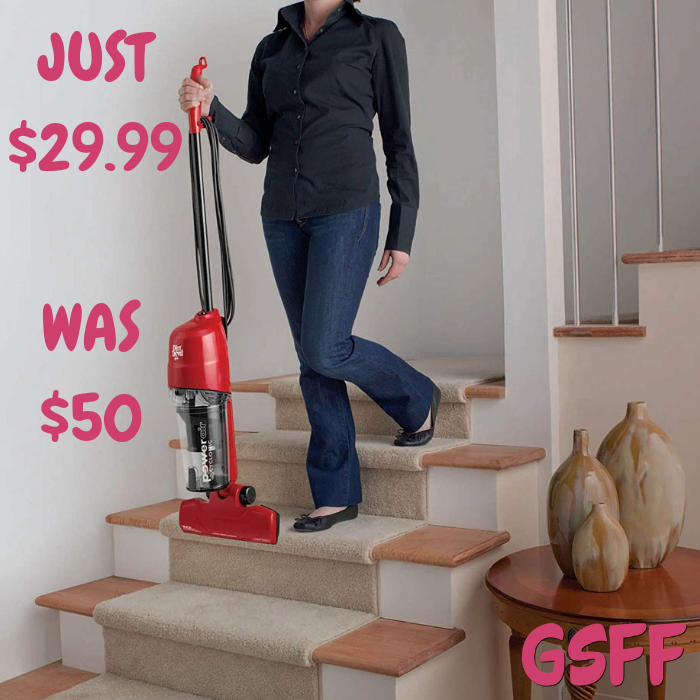 You are here: Home / Great Deals / Amazon Deals / Dirt Devil Vacuum Cleaner Just $29.99! Down From $50! Shipped! Hurry over to Amazon where you can score this Dirt Devil Vacuum Cleaner for just $29.99 down from $49.99 PLUS FREE shipping! The new Dirt Devil Power Air is perfect for quick pickups on hard floors and is easily stored in tight spaces. The 10 Amp Motor means powerful suction for bare floors while a lightweight design enables it to maneuver easily from room to room. The Low Profile Nozzle makes cleaning underneath furniture a breeze. This new stick vacuum proves that Dirt Devil is an energetic brand committed to developing cleaning solutions and technologies that customer”s value and trust.